I’ve just started a new writing blog! While I have this website for my games, and a separate website for my books, I wanted a more informal environment to interact with readers and gamers, other writers, and to share and discuss my own experiences. As time goes by, the blog will feature writing and editing tips, poems, useful tools and resources, project previews, and more. While much of it will be focused more on writing, there will also be tips and discussions regarding game design and development, and the occasional update or screenshot from my current game projects. I also plan to write and post a series of RPG Maker tutorials on the blog, soon. Serial Novel, Living Ageless, now Available! Living Ageless, a new fantasy serial novel, has been accepted by JukePop Serials and is now available for free online reading! The pilot chapter is currently up, and I plan to publish future chapters monthly. “Arte and Amelia have always been different from everyone else. They share thoughts and dreams. They see the strands of time and fate in ways others don’t. And they might be over 5,000 years old, but they don’t look a day over 21. The thing that bothers them the most? They don’t seem to feel the same things others do – not happiness nor grief. They may have seen the birth and death of generations around them, but none of it means much to someone filled with emptiness. Their mundane day jobs give them a place in a constantly changing world, but by night the brother and sister duo run a supernatural investigations agency in search of answers not about the world, but about themselves. If you’re interested, you can give the first chapter a read here on Jukepop Serials! It’s also available on FictionPress, Wattpad, and Figment. After thinking about it for a while, I have decided to separate my novel and game projects into two different websites. My author website, www.rowanrook.com, will now be the home for my novels and books, while this website, DawnSeeker Studio, will primarily list information on game projects. 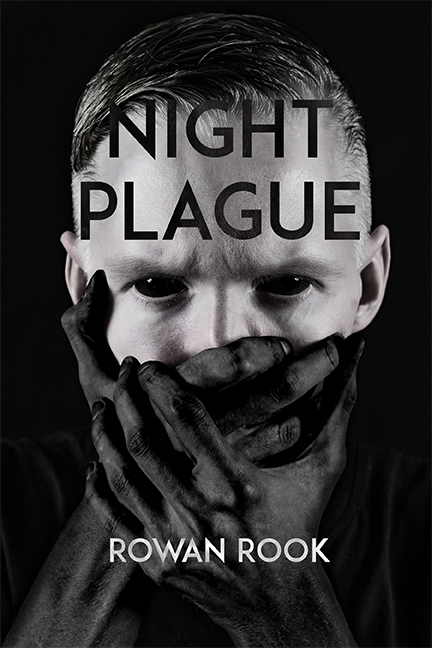 Night Plague Published and Released! I’m excited to announced that my first novel, Night Plague, has been published by Severed Press and is available now on Amazon.com! “Humankind will soon be extinct. A mysterious pandemic cut through two-thirds of the population in just four short years, and within another four, it will decimate everything – and everyone – left. The last days are ticking by, relentless and ruthless, and the reclusive Mason Mild finds himself torn between a peaceful end and a brutal immortality. Between his hopeless, but comfortable days with his family, and something new…something violent and wild. The book is a YA post-apocalyptic thriller. The digital version is available now for just $2.99, with the print version to follow within the week. Content and projects © DawnSeeker Studio and TearsOfNightfall/Rowan Rook 2012 - 2015. Project resource credits are listed in separate pages.